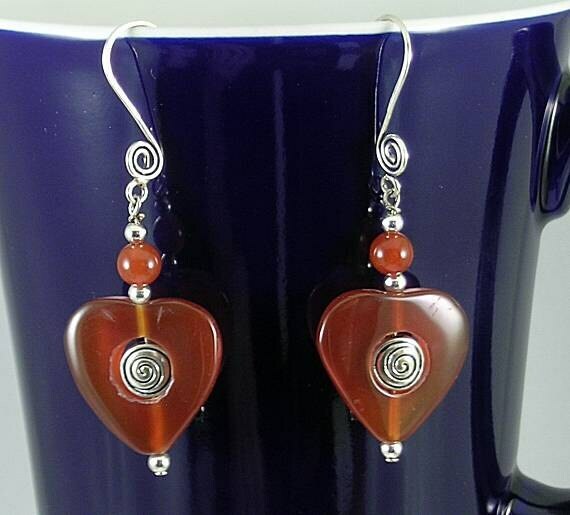 Carnelian Heart Frames have a metal flat metal bead with a spiral design inside. The elements are separated with 2.5mm spacer beads. 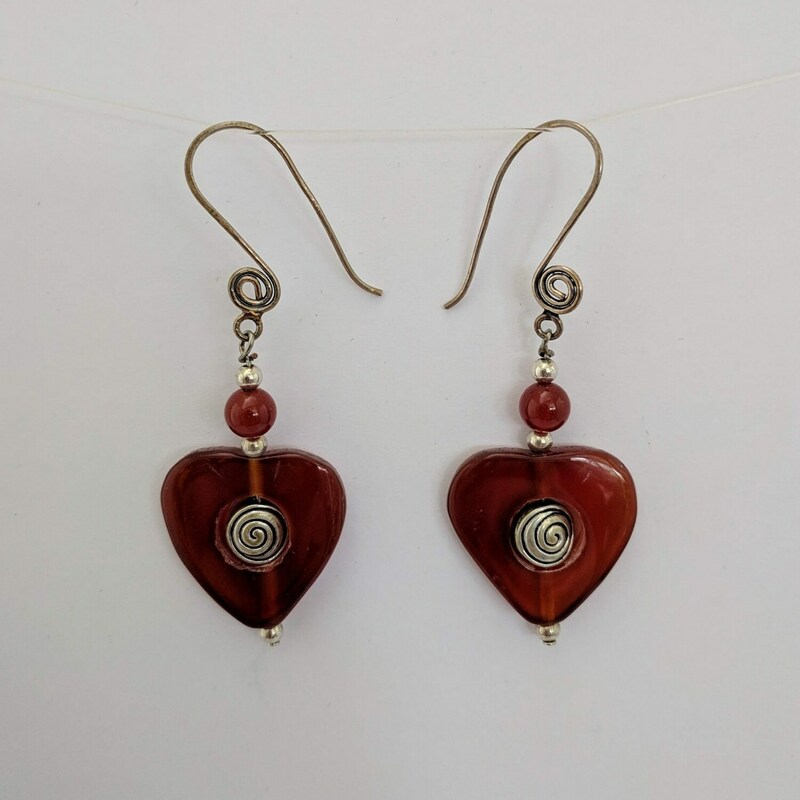 A loop above the 4mm carnelian bead attaches it to the ear wires. 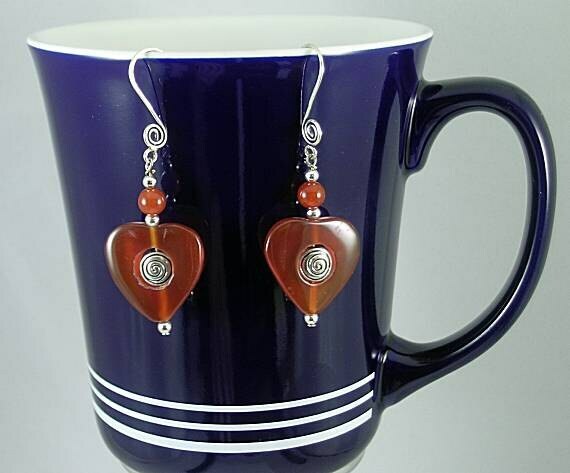 The ear wires also have spirals. The heart measures approx. 25mm or 7/8 inch. The pendant is approx. 1 1/2 inches long from the ear wire loop.